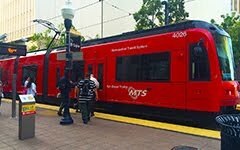 Free Public Transit So Cal: Autosprawl wastes energy. Takes from cornfields, and now from water supply. Autosprawl wastes energy. Takes from cornfields, and now from water supply. Fracking is depleting water supplies in America's driest areas, report shows | Environment | theguardian.com: "America's oil and gas rush is depleting water supplies in the driest and most drought-prone areas of the country, from Texas to California, new research has found. Of the nearly 40,000 oil and gas wells drilled since 2011, three-quarters were located in areas where water is scarce, and 55% were in areas experiencing drought, the report by the Ceres investor network found. 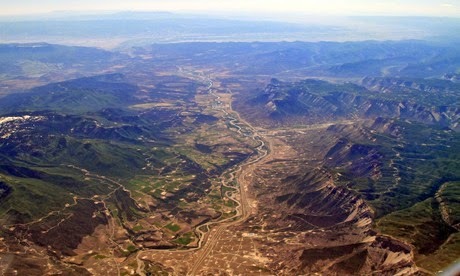 Fracking those wells used 97bn gallons of water, raising new concerns about unforeseen costs of America's energy rush."